This heartwarming story is sure to give readers an appreciation for "the greatest generation" as well as a clear presentation of what it means to be a Christian. In the tradition of It's a Wonderful Life and John Grisham's Skipping Christmas… Newspaper reporter Ben Raines is a full-fledged cynic trying to bypass what he feels is the least wonderful time of the year-Christmas. But his plan to escape on a dream vacation overseas is foiled when the boss assigns him to write the annual front-page holiday story. With a humbug twist, Ben chooses to investigate a World War II legend involving his own father that will expose the fallacies of religion and everything related to December 25th. Willy Raines fought in the Battle of the Bulge at Bastogne during Christmas 1944 and-to Ben's embarrassment-believes a real angel saved the lives of every man in the 101st Airborne unit. Some angel that was. Life was never easy for Willy after the war, and he was far from heroic in his son's eyes. Ben sets out to find other veterans who witnessed the angel of Bastogne, sure to return empty-handed. Instead, he comes home with a heart that is overflowing. 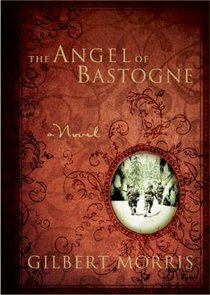 About "The Angel of Bastogne"